Sherlock Holmes, a mainstay of books, movies, television, theatre, and websites has also graced many an advertising campaign over the years. The 2009 BSJ Christmas Annual, written by Peggy Perdue, curator of the Toronto Public Library’s Arthur Conan Doyle Collection examines the astonishing array of advertisements that have used and abused the image of Sherlock Holmes over the course of more than a century. 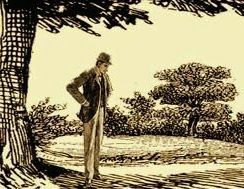 The cerebral Victorian consulting detective seems a world away from the likes of the Jolly Green Giant and the Maytag Man, but Holmes has been used to sell everything from vegetables and appliances to beer and baby powder. Read the whole story of how the great detective fares as one of the world’s most enduring advertising icons. This 64-page monograph contains over two dozen photographs of seldom seen advertisements, and offers the most complete survey of the topic published to date. 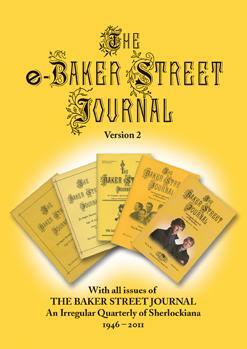 The full 2009 Christmas Annual is also part of the eBSJ PDF archive. Peggy Perdue is curator of the Arthur Conan Doyle Collection at the Toronto Public Library. She lives in Toronto, Ontario, Canada, with her husband and daughter, two cats, one budgie, and a speckled band. A full-time job working with Mr. Sherlock Holmes can be demanding, so Peggy relies on Phosferine to manage nerve shock and brain fag.